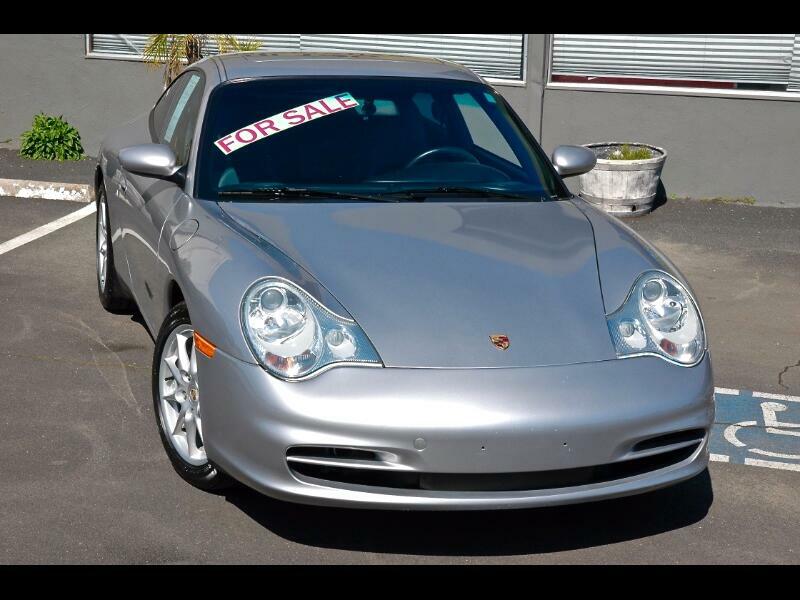 This 2004 Porsche Carrera coupe with a Arctic Silver Metallic exterior and a black leather interior comes with a 6-speed manual transmission and has been extremely well cared for and maintained. Major service including, spark plugs, air filter, cabin filter, oil and filter and drive belt. Clutch, clutch pedal spring, rear main seal, LN engineering IMS bearing. A/C condensor and freon charge. * Fog Lights integrated into Headlights. * Automatic Full Climate Control w/ AC. * Heated Windshield Washer Nozzles. * Carbon Filtered Ventilation System. * Electric Sliding Sun Roff w/ Tilt. * 18" Alloy Carrera Wheels. * Wheel Caps w/ Colored Crest. ***Pre-purchase inspection report available upon request.